Everyone enjoys a freshly cleaned home. No dust, debris, and dirt. The air smells pure and fresh. You can still see the vacuum streaks across the carpet. But seldom do we pay the same kind of attention to or take the same kind of care with our air conditioning unit, even though if it stopped working, no amount of house cleaning would make up for all that hot air inside the house! 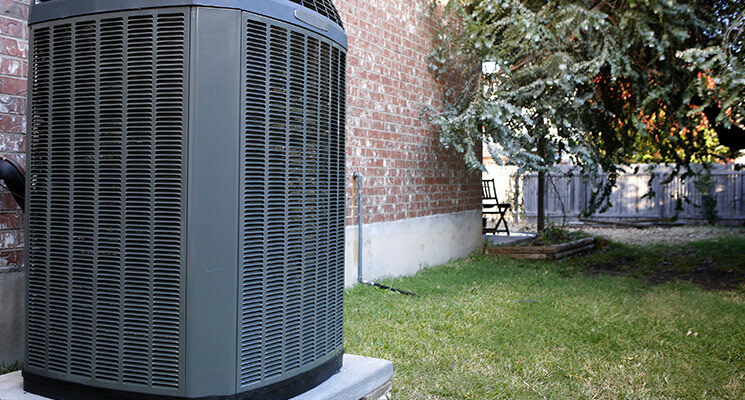 The truth is, your air conditioning unit is perhaps the hardest-working appliance in your entire house. It is one of the few appliances (in some cases, it’s the only appliance) that must cope with both outdoor and indoor conditions and keep functioning at peak efficiency. So, just as your health and well-being gets a reliable boost from a fresh, clean home, so too should you consider giving your air conditioning unit a thorough spring cleaning before its busy season arrives. In this post, learn how to clean and freshen the outside and inside components of your A/C unit to prepare for spring. You are probably already anticipating the increase in energy use, and corresponding increases in cost, that will come when spring heats up and summer takes hold. But did you know that just by giving your air conditioning a good spring cleaning, you can save some of that summer cash? When your A/C unit is clean—free from dirt and debris—and well maintained to boot, it won’t have to work as hard to provide the indoor cooling you require. It won't draw as much energy. Your utility bills won't skyrocket. If you are like us, this is motivation enough to get out there and give the A/C unit a good spring scrub! To begin, we can jump right in and give the outside portion of your A/C unit a good, invigorating clean. First, turn OFF the power feed to your A/C unit. You may need consult your manual to locate the power box (often it has a cover, but if you open it, you can find a switch labeled On/Off.) If you know which breaker circuit controls your A/C unit, switch that OFF as well. Next, remove the unit cover. This is the metal cover that encases the actual working parts (fan blades, coils, belts, etc.) of your A/C unit. It is typically held on with a series of screws. By loosening those, you can remove the cover (be SURE to keep track of the screws!). Now it is time to get your hands dirty! You can use a leaf blower or a low pressure or open spray hose to remove big debris that has adhered to and around the unit. You can also use a simple broom to sweep away dirt and debris. Be sure to get the debris that may be hidden down at the base of the unit, and also direct the blower or hose at angles to get hidden debris in corners. You can now clean and reattach the cover itself. Your last step before reassembling your A/C is to clean the cover. You will want to wipe away dirt and debris inside and out and make sure all vents are clear. Then you can reattach the cover to the unit. Be sure to tighten all the screws well and evenly. Before you restore power to the unit and switch the breaker back on, you will want to give some attention to the inside components of your A/C unit as well. First, change the filter. Here, your goal is to be sure the filter is clean (change both the A/C and furnace filters at the same time for optimal air quality). Drain any condensation in the A/C pan. If you see pooled condensation (water) in the condenser pan beneath your A/C unit, drain it out. If your pan/tubing is difficult to reach, you will want to have a professional perform this service. You can now restore power and test your unit. Schedule an air duct cleaning maintenance call. The final step is to clean all the dust, dirt, and debris buildup in your air ducts. The air ducts, of course, are what carry the cool air to each room in your home. The more clogged they become, the more power your A/C unit has to draw and the more you pay in energy costs. Plus, your risk of a home fire greatly increases with clogged air ducts. For some homeowners, the A/C unit is located in a place that is easy to access and clean. In other homes, it can be difficult or even dangerous to access the A/C unit components on your own. In these instances, a professional indoor air quality service can take care of both the cleaning and the unit maintenance, including changing out any worn or broken parts, all in one service call. Here at Clean Air Solutions, we are happy to help clean, service, and maintain your air conditioning unit, including your complete home air duct system, so you can breath clean, healthy, fresh, and allergen-free air all spring and summer long. Contact us today for a free consultation at 905-544-2470 or online here.